Ever since I started my creative writing venture, the journey has been full of ups and downs emotionally. It is like bringing up a baby. You are protective, proud, and worried for your venture, and things like one deal not working out or one not-so-positive feedback can make you feel like a complete failure. Above everything, there's this fear of letting down your venture. So, as I said earlier, it is a very emotional journey, but it was made even tougher by the fact that my father was never completely comfortable with me leaving my high-paying IT job and taking on a much tougher fight. Till recently, he would mention it every now and then, and would even go to the extent of circling some IT jobs in the Situation Vacant section of newspaper. I have been really close to him and have always felt that he is the person I love the most. So though I never admitted this to him, the fact that he wasn't really beside me in my fight, was distressing for me. Recently he fell ill. Extremely ill. He suffered a seizure and was in the ICU for a few days. With God's grace, he recovered and was discharged from the hospital after a few days. Dark days were, however, not over yet. He suffered feinting spells and required support for even slightest of movements. I moved to my parents place for a couple of months to take care of him and to support my mother who was under a lot of stress. I continued the operations of Literature Studio from their place, and things were a little tough because I wasn't able to devote enough time to my work. I wasn't able to meet a couple of deadlines and some workshops didn't go as well as I would have liked. It seemed that along with my personal life, my professional life was also under a dark cloud. And even though I wasn't aware of it, my father was observing it all. 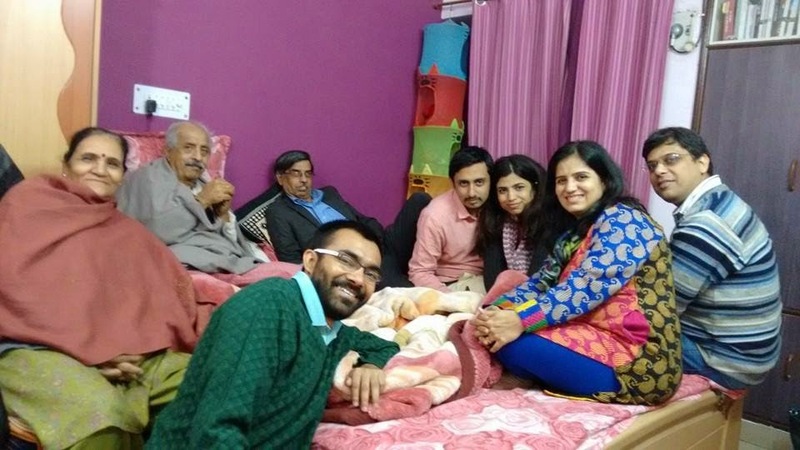 After nearly two months, all of us (my father, my mother, my sister, my uncle, my husband, and me) were sitting and chatting like we always do, when he suddenly said, "We need to help Vibha with Literature Studio." I couldn't believe my ears. This was the first time my father had talked about Literature Studio in a way that suggested that he believed it was here to stay. Needless to say, I was moved. With great effort I held back the tears in my eyes and started talking to him about my little venture. We talked about profit and loss, about the current status, about vision, and about various other things. We didn't arrive on any conclusion that day, but it was indeed the day that changed it all for me. It seemed that the slight doubt that I was carrying deep inside my heart vanished and I was full of positive energy and optimism about Literature Studio. If I say that since that day things have all been bright and sunny throughout, it will be a lie. Running Literature Studio is still like bringing up a child, with all its highs and lows. But the task is much easier when I know that the person who matters the most in my life also believes in it, and in me. I am very grateful for that day when my father decided to place his trust in me. The journey has been much happier since then.